Amazing recipe. 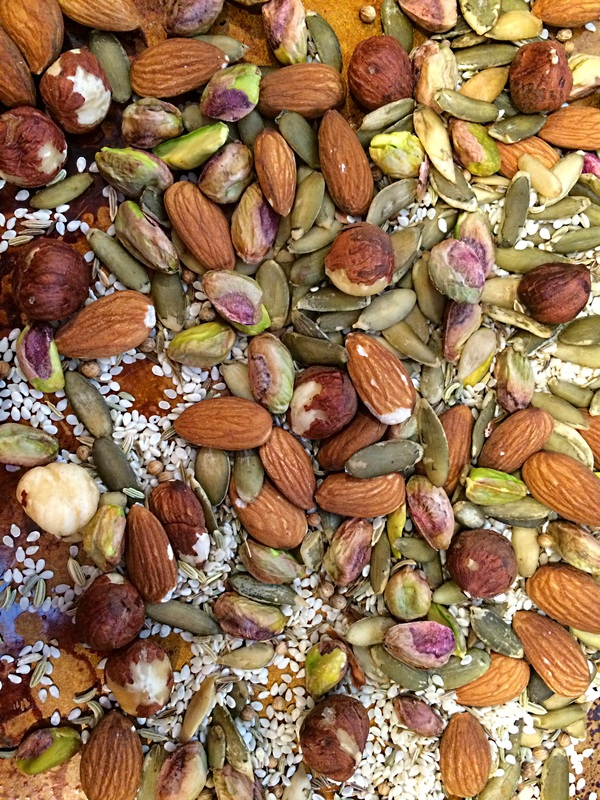 Great crunch from all the nuts and seeds and lots of flavor from all the spices. Preheat the oven to 400°. On a rimmed baking sheet, toss the hazelnuts, almonds and pistachios. Add the pumpkin, sesame, fennel, coriander and cumin seeds and bake for about 10 minutes (10 minutes is too long, 5 minutes is enough time), stirring once, until lightly toasted. Transfer the nuts and seeds to a food processor and let cool completely. Add a pinch of salt and pulse to coarse crumbs. 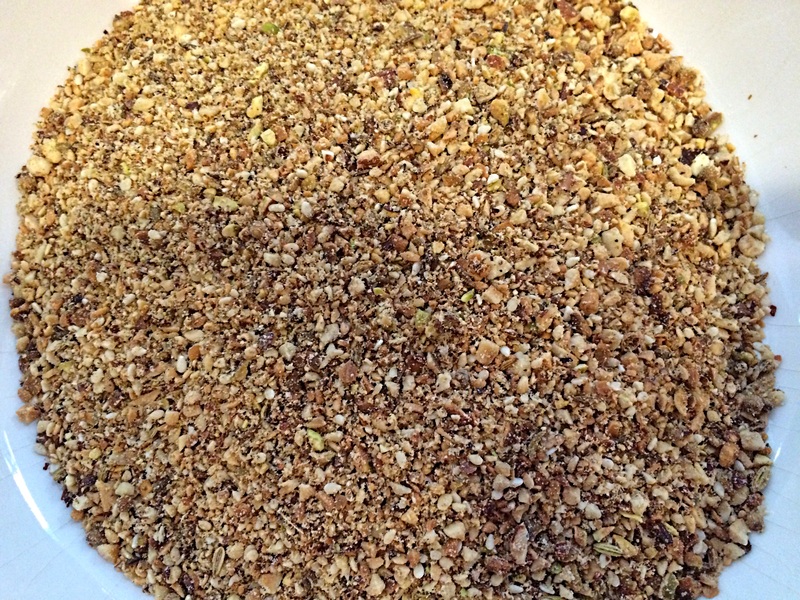 Spread the spice-and-nut crumbs in a shallow bowl. Shape the sausage meat into 1½-inch balls and transfer to the baking sheet. Brush the meatballs with olive oil and dredge in the crumbs, pressing lightly to help them adhere. Return the meatballs to the baking sheet and bake for about 15 minutes, until firm and cooked through. 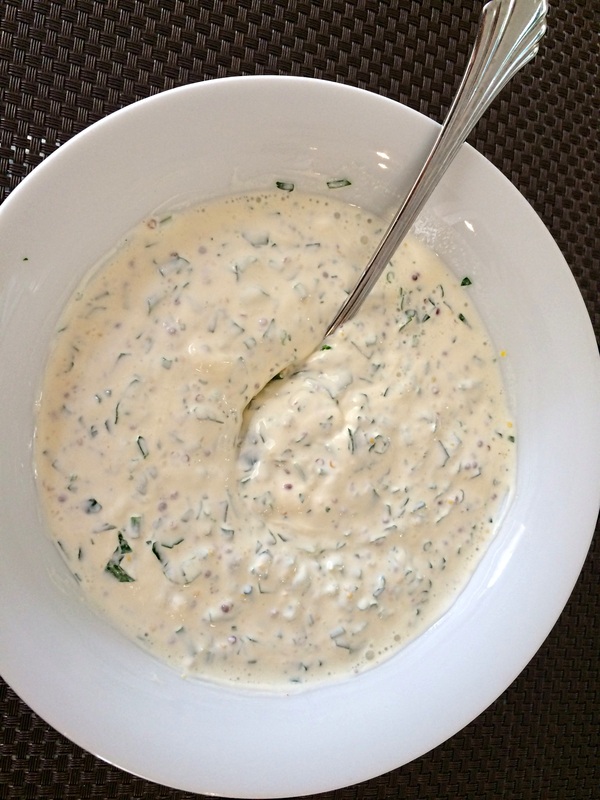 In a medium bowl, mix the crème fraîche with the mustard, minced herbs and lemon juice and season with salt and pepper. 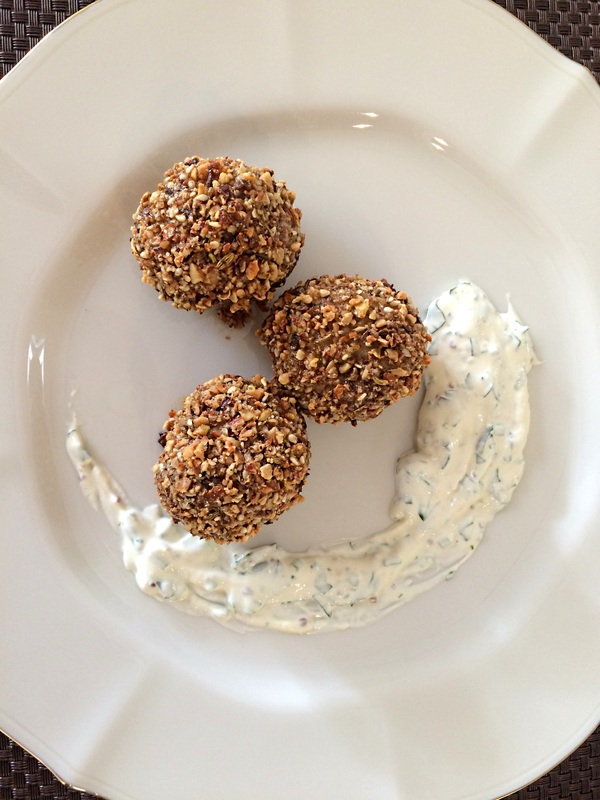 Arrange the meatballs on a platter and garnish with chervil. Serve with the mustard sauce alongside.